Newer: » GIRLS RULE IN 2014! Belize’s top tourism destinations captured impressive awards in 2013. Top accolades included Ambergris Caye being named the number one island in the world by TripAdvisor. The international traveler advisor organization also recognized other destinations in Belize in separate awards. 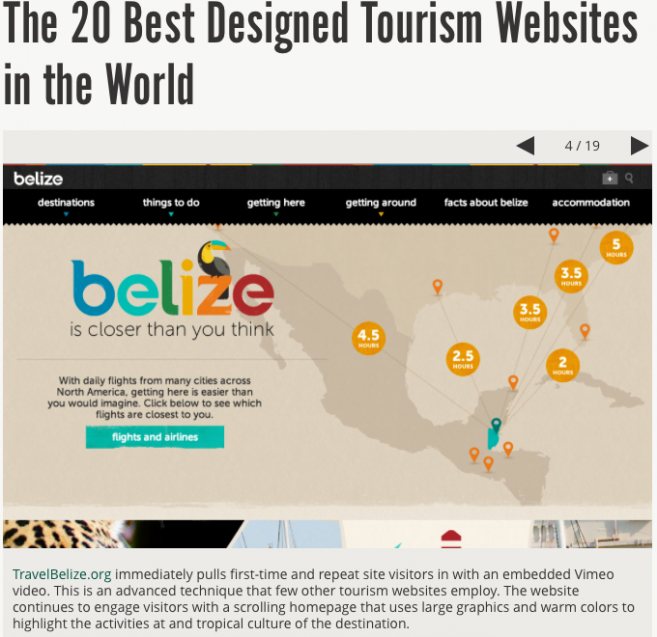 In addition, Belize’s leading marketing organization, The Belize Tourism Board also received recognition from Skift.com. Earlier in the year, Ambergris Caye, the most populated island in Belize, was named the #1 Island from a list of ten top islands worldwide as part of the Traveler’s Choice 2013 awards. Other islands that received recognition as part of top 10 island in the world were St John US Virgin Island, Bora Bora Society Islands, Islas Mujeres Mexico and Santorini Cyclades amongst five others. Ambergris Caye was also recognized by TripAdvisor as one of the ten Destinations on the Rise in the world. “Ambergris Caye hovers in a vacation sweet spot: just enough amenities to make it exciting, but not so overdeveloped that you’re tripping over flip-flopped tourists. A mangrove swamp is the eye of this white beach island, the largest in Belize, and golf carts are the main form of transportation along the sandy roads. Reef divers drool over the Belize Barrier Reef and the Blue Hole, a 400-feet deep circle of limestone that teems with angelfish, elkhorn coral, cleaner shrimp and stalactites,” stated TripAdvisor on their website. 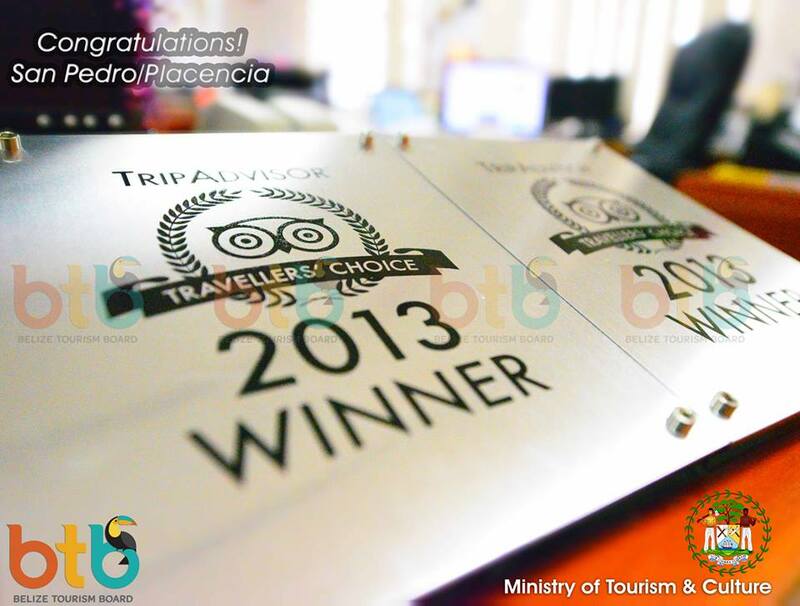 Similarly, Placencia and Caye Caulker received recognition from TripAdvisor in various categories. “Clearly for the industry it is good. It means heads in beds. It means persons in restaurants. It means persons taking tours. It means [an] overall increase and sustainability in jobs in the tourism sector,” said Director of Tourism in Belize Laura Esquivel Frampton. The recognitions are timely since the Belize Hotel Association announced that for the first time, tourism stakeholders are seeing over 10 thousand seats available to Belize per month via various airlines. In addition, earlier this year, the Ministry of Tourism and Culture announced an 11% increase in overnight tourism. 2 years in a row -Ambergris Caye is #1 island in the world! !